Kang Nano. 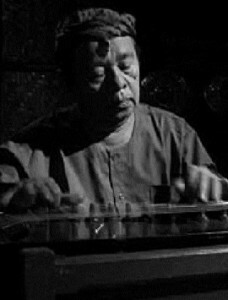 Known more popularly as Kang Nano S. this prolific and influential composer did much for Indonesian and more specifically Sundanese (West Java) music both inside the country and internationally. Nano was born in Garut in 1944 and died only last year in September 2010. He was an active composer, performer and teacher who managed to be successful in both popular and more classical and experimental styles. By mixing pop influences with traditional Indonesian styles he helped develop Pop Sunda which is still an influential style in Indonesia today. He composed over 400 works and has 200 albums in circulation. Most famous for his Pop Sunda albums, Nano reshaped the genre in the 1980s. Whereas before it had mainly been an imitation of western pop played on guitars and drum kits in western diatonic tuning, Nano reintroduced the Indonesian pelog 5 note scale and gamelan degung group more common to West Java (somewhere between the hypnotic central Javanese and manic Balinese styles). Pop Sunda (sung in Basa Sunda, the traditional language of West Java) is now nationally regarded along with Dangdut and Kroncong styles and often incorporates other pop styles such as reggae and rap. Having a great grandfather who was a dalung (puppet master) and grandparents who taught him to sing meant Nano was already sure of himself as an artist at a young age. He went on to study both dance and music in Bandung in the 1960’s where he was heavily influenced by his music teacher Mang Koko. The main idea he took from his teacher was to popularise Sundanese music both in Indonesia and foreign countries. Whilst Mang Koko did this with his group Ganda Mekar by mixing Indonesian and Dutch in their songs, Nano took his own path and experimented with many styles from pop to Kariwitan Total, instrumental music that could stand alone without singing or puppets. Nano started his own group Gentra Madya in 1972 using the gamelan degung which features more gongs (called degung) plus drums and bamboo flute. In 1979 he had a composition ‘Umbul-Umbul’ performed on national television for an ensemble of 75 people which covered 15 different styles of Sundanese music. His bestselling album is ‘Kalangkang’ (meaning ‘shadows’) from 1989 and featuring the popular singer Detty Kurnia. The popular songs he wrote usually revolve around the theme of young love. At the time Nano said: ”I am financially successful in the business world of pop music, it doesn’t mean I am a hypocrite. I have to fill two pockets, one for my family and one for my art: my ‘second wife’.” He always tried to record at least one more challenging piece on a pop album but said that producers were against this because instrumental pieces did not sell as well. He found an audience for his instrumental compositions at universities in the U.S, Japan, Netherlands, Phillippines, Hong Kong and Australia where he visited for recitals and teaching. This included a fusion of Japanese Koto, Flute and harp with Sundanese scale comissioned by Tokyo University of Fine Arts. His Work has also been championed by the Evergreen Club in Canada. He called his instrumental compositions ‘Musik Murni’ (pure music) as they are more metaphorical, emotionally expressive and complex. Where he lived in Bandung he put on performances for visitors and foreigners with his wife Dheniarsah who is a singer on an outdoor stage built next to their house. He also chose to teach at high school level in Indonesia instead of university because he thought it was important to teach young people the value of their own culture. He was appointed chief of the West Java cultural park in 1995. He also wrote music and texts for 15 operettas as well as stories and poems. 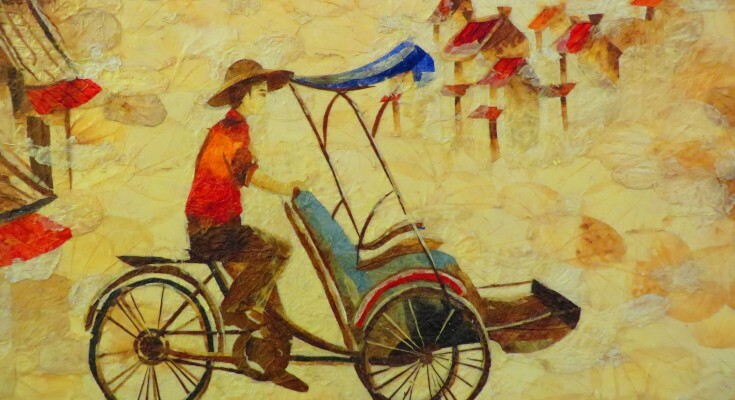 His aim was to increase appreciation of Sundanese arts by exprimenting with them and popularising them but keeping them as close to their roots as possible, for example by always using the Sunda pelog scale. By doing this he challenged the idea that for music and art to be popular you had to completely westernise it. Perhaps his greatest achievement was finding new ways to make traditional music interesting to people whether they were young or old, indonesian or foreign, and his tireless experimenting and integration of styles is something that every composer can learn from.